Happy Monday! 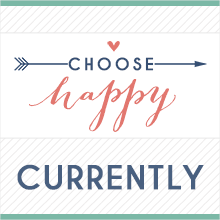 I’m linking up as usual with Becky at Choose Happy and the other great bloggers for this week’s Currently. I’m also joining Jenna and Anne for their monthly currently link up.We love getting to know new people, and hearing what’s going on in your life. Link up and join us! Organizing || Our whole house, but a few projects in particular. 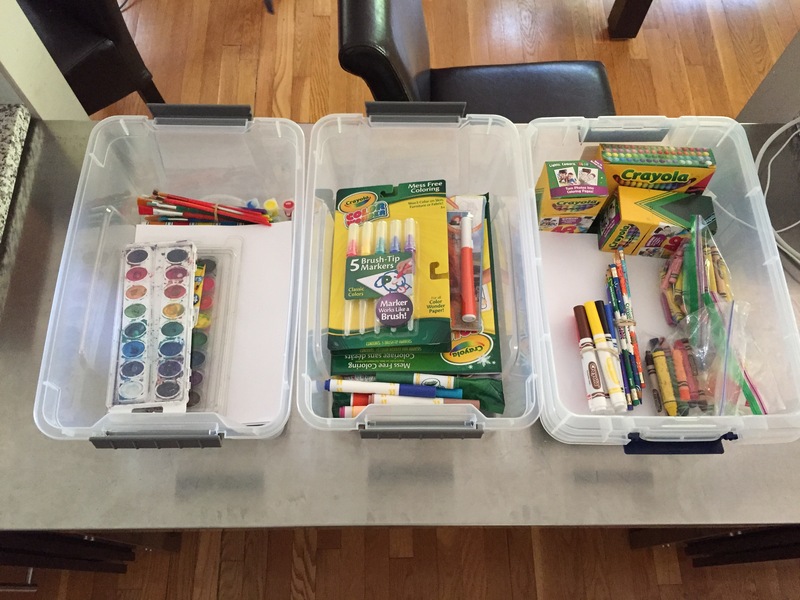 I just finished organizing EK’s art supplies – which she has a lot of for a three-year-old. She’s quite the little artist! We also just (partially at least) set up the still-temporary guest bedroom for my mom, who came and stayed with us this weekend. 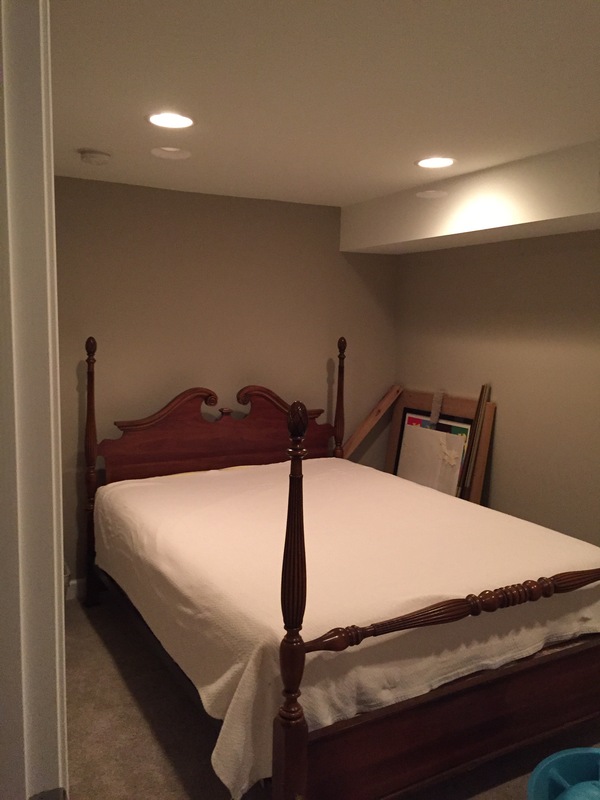 The guest bedroom has officially been four different rooms in our house. Sheesh. As you can see by the art pile in the corner, it’s not finished… ha! 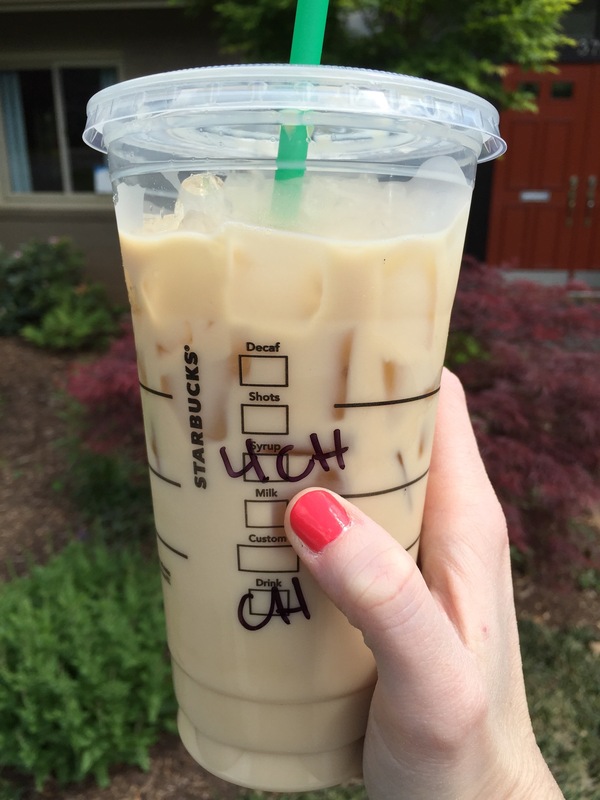 Craving || venti iced chai lattes from Starbucks (with four pumps instead of six). Now you know what my current craving AND current Starbucks order is! The weather is warm, I’m on a limited caffeine intake plan (because pregnant) and so I’m relying on these babies to get me through. And I can’t handle quite as much sweetness as they come normally, so I basically get a grande amount of syrup in a venti sized drink. Most of the baristas charge me accordingly, which is lovely of them! Wearing || this gorgeous nail polish! It may be the only thing you see on my nails all summer. I grabbed it at the drugstore totally randomly because I love that super bright coral, and it’s Nicole by OPI so I knew it would be a good polish. Anyone else have the perfect summer color? Working on || my fitness. I haven’t been doing a great job, y’all. Confession time: every time I get a compliment on how I look good pregnant, I’m reminded how it must be leftover from my running routine I had going before I got pregnant. I do yoga every week, once or twice, which is great, but the weather really killed me. When it was cold, I totally holed up at home and didn’t do anything. A-ny-thin-gah. Basically I let my formerly toned self turn into a slob. My eating habits have stayed alright, but I’m letting myself indulge a little more than usual. (I’m pregnant, right?!) So by telling you that I’m working on my fitness, I’ve had a couple of good days here, and my plan is to keep it up. Now that the weather is much more cooperative, I’ll at least be walking more often. 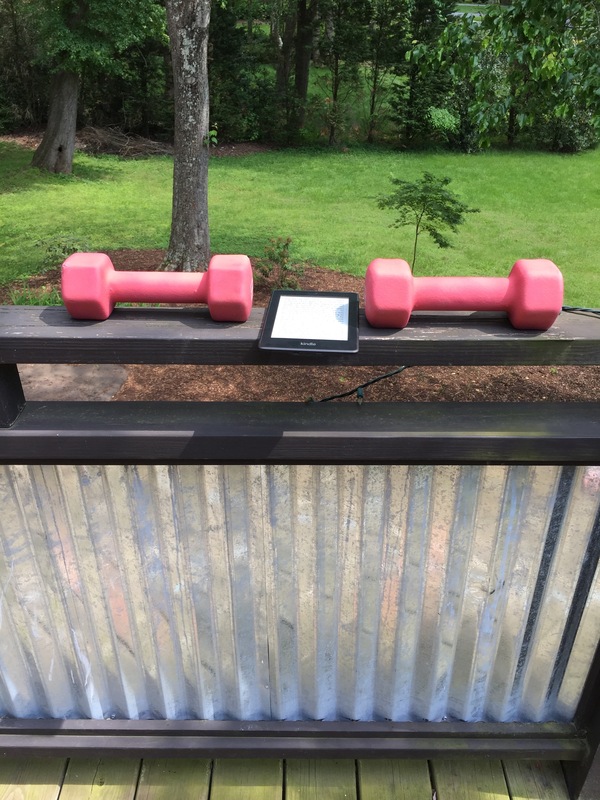 My preferred workout view… outside with my Kindle. Reading || The Age of Innocence by Edith Wharton. I know y’all think I totally forgot about that whole reading challenge I started. Well, I didn’t. I just have been busy/crazy/lazy/tired. Yeah, those are all excuses, but it’s just my life right now. Anyway, I just started this book today, and I’m hoping to stick with it. In fact, when I’m done writing this post, it’s next on my to-do list. It’ll fulfill the “classic romance” category of the challenge. I’ve read so many classic romances (Pride & Prejudice, anyone? I’ve read it 14 or so times.) that I wanted a “classic” one that was slightly less popular. So Edith Wharton it was. Naming || our baby! I think I’ve told tons of y’all because you’ve asked me, but I haven’t really officially posted it up. So anyway, baby boy #2’s name will be Davis Ryan Hsu! I personally love it (obviously- that’s why I chose it) and I think it’s a lovely name. Davis we chose simply because we like it, and Ryan is Hubby’s name, of course. So there ya go – sweet little Davis will be making his debut sometime near late July. Well that’s all about me for now!! What’s going on with you? I love the name. Congratulations!!! Iced venti chai is my favorite! I get to learn how to make them when I start working at Starbucks next week! Love the name! So glad you were able to decide. I wish I was close enough to come visit you at work! Yay!! My kids LOVE art supplies!! Love the baby boy name!! Thanks for joining my Currently Link up this week! Have a wonderful Mother’s Day weekend!